Industry leaders see ever-increasing implementation and advancement of mobile technology in the drive for safe, reliable, efficient operations. Millennials, IIoT-based asset management, and the drive to sustain safe, reliable, efficient equipment systems and operations are all at the forefront of today’s manufacturing environment. The reliability professional’s interface for all of this technology: mobile devices and the ability to monitor operations around the clock, regardless of location. The demand for mobile access to asset information is only going to increase as Baby Boomers retire. According to an Industry Week article (“Want to Attract Millennials in Manufacturing? Make Mobility a Top Priority,” Mark Holleran, Aug. 18, 2017), an estimated 2.7-million jobs will be vacated through retirement by 2025. In the same timeframe, the growth and advancement of industry is expected to create an additional 700,000 jobs for skilled manufacturing. According to the same article, while 77% of Millennials want greater mobile connectivity in the workplace, only 44% of manufacturers support shop-floor access through mobile devices. Most still rely on paper logs or stationary computers to manage everyday processes. • data mining and analysis (70%). In what areas is mobile technology proving to be most effective? What is the biggest concern people have with mobile technology? Mobile technology will make big improvements in operations in ways we are just starting to imagine. It is an enabling technology that will deliver fundamental changes to workflows and processes by improving collaboration amongst local teams and global experts. Today, we’re seeing its influence prominently in reliability and operations. Now an engineer or maintenance technician can receive alarms and data on their smart phones and see the things an operator can see, to ultimately resolve issues faster and with more certainty. We’re shortening work processes, improving collaboration, and eliminating physical and geographic boundaries. The most frequent conversation we have with our customers about mobility involves cybersecurity. It’s a topic that’s top of mind, but by no means a barrier to adoption. Cybersecurity is integrated into our mobile solutions and not just how they handle data, but how they work. Mobile solutions are about ensuring that all levels of organizations can make effective, business-critical decisions and that must be done securely. Saadi Kermani, technology evangelist and business-development manager, Schneider Electric, Industrial Information Management, Montreal, wonderware.com. I see benefits to mobile technology in two big areas. First, information access—with mobile capabilities you can view your data anywhere, anytime, on any device. This improves operational visibility from the operators on the floor all the way along the decision-making chain to the executives in the c-suite. When presented through intuitive and user-friendly interfaces, this increased access to data dramatically improves operational decision making. The second key area is asset management. Implementing mobile-operator rounds allows users in the field to capture data from stranded assets and access best practices wherever they are in the plant, optimizing operations for improved asset performance and reliability. One of the biggest concerns we’ve heard about wider adoption of mobile technology is safety and compliance within the workplace. While bring-your-own-device policies are feasible for a great number of industries, it can be hazardous in heavy-industrial environments such as refineries that must remain C1D2 compliant. For that reason it’s critical that companies select a vendor that can either provide or partner with suppliers of reliable, trusted C1D2-compliant devices. Alan Cone, Siemens Industry Inc., Norcross, GA, siemens.com. 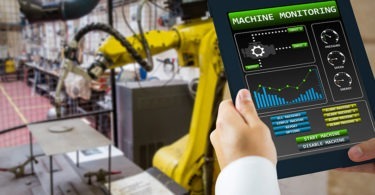 The desire to have quick access to plant data is driving more companies to implement connectivity to mobile devices in their factories. They are not interested in controlling the plant and machinery with the mobile device, but are looking for quick views into equipment status and production information, as well as getting access to alarms and messages. This allows them to respond faster to resolve issues and keep the factory running. 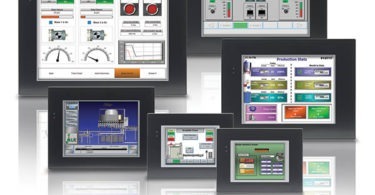 Siemens offers applications that connect HMI and SCADA systems with mobile devices to allow viewing the process screen that matches the operator’s terminal. Automation systems can also be set up to direct alarms and messages straight to mobile devices as SMS text messages or emails. This allows the operator to see the alarm without needing to be at the HMI. There are also apps that talk directly with HMIs, as well as the PLCs on the factory floor, so plant personnel and maintenance professionals can see what is happening without being at the machine. Customers are also considering using augmented reality (AR) on the factory floor. AR allows the mobile maintenance app to recognize equipment and display relevant process data, schematics, and other resources. This resolves downtime events faster through better and more-efficient communication with support personnel. The application connects to the SCADA data base to pull the data for the equipment in question. Security is a concern of many companies. Siemens allows security to be placed on the application by enabling different levels of user access from read only/view only access to full control. This access is based upon the user login and ID defined in the engineering system for the different products. Kevin Clark, Director, Global Service and Alliances, Fluke Accelix, Fluke Corp., Everett, WA, fluke.com. For many years, mobile technology has been effectively employed in industrial operations for the monitoring and remote control of assets. However, maintenance and reliability have remained largely manual and personnel-intensive activities, with route-based maintenance the prevalent approach. Today, using mobile devices, connected tools, sensors, and cloud-based reliability-and-maintenance software (EAM, CMMS), teams can work smarter and implement predictive and proactive reliability and maintenance programs. Integrating data from multiple device types (handheld tools, wireless sensors, SCADA systems) is required to see the whole picture of a facility’s assets, particularly if personnel need or want to include Tier 2 and lower equipment, which is not typically “sensored up” and monitored. We see the future of maintenance moving toward technicians and other professionals primarily using smartphones and tablets (combined with sensing technologies) to collect data on assets to perform their scheduled work, order parts (current/future), take real-time action on critical alarms, analyze historical trends, assess current asset health, remotely control an asset, and predict/prescribe maintenance activities. Security is the number one concern for IT. Cybersecurity has been a talking point for several years, and this conversation will not go away any time soon. To maintenance leadership, it’s a no-brainer to go after mobility. Sometimes, the biggest barrier seems to be maturity. Everybody is ready for mobility, but are they really ready?